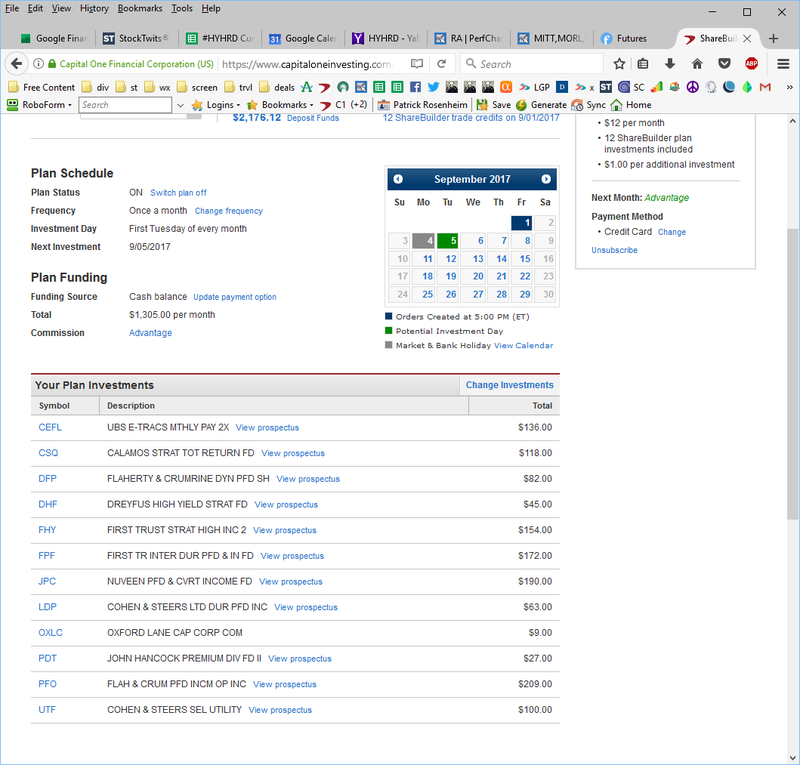 Roth-P For this non-taxable account, investments are calculated automatically on the Roth-P tab in my Google sheets. Check it out! I look for Total Return (“Rank by Annualized”), and pick the top 12 for investments in this untaxed account. Investment amounts are weighted, with the highest ranked getting the largest investment, and shared proportionately among the remaining 11 investments. With this method, my aim is to increase the amounts paid each month as well as the likelihood that some might get sold to capture some capital gains. Roth-A For this non-taxable account, investments are calculated automatically on the Roth-A tab in my Google sheets. Check it out! I look for Total Return (“Rank by Annualized”), and pick the top 12 for investments in this untaxed account. Investment amounts are weighted, with the highest ranked getting the largest investment, and shared proportionately among the remaining 11 investments. With this method, my aim is to increase the amounts paid each month as well as the likelihood that some might get sold to capture some capital gains.